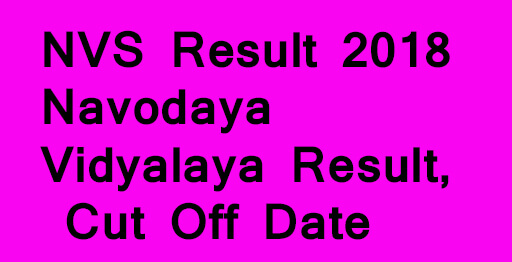 NVS Result 2018 : Navodaya Vidyalaya Samiti declared result for following posts Audit Assistant, Lab Attendant, Female Staff Nurse, Hindi Translator and Catering Assistant. Those aspirants are interested and eligible for NVS Results and Cut Off go to important link section and check. After clicking on Submit button, aspirants will be able to check Your Result.